How to Remove Odor From a Fur Coat. Many things can leave unpleasant odors on fur, including cigarette smoke, moth balls and fried foods. Here's how to remove those nasty odors from your fur coat. 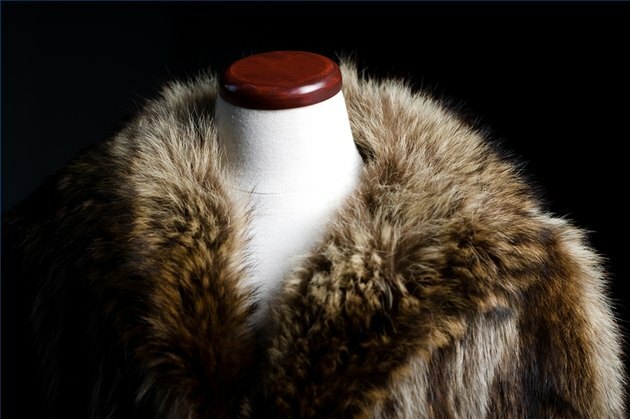 Place the fur coat in a vinyl garment bag and hang it. Add an open container or bag of fresh coffee grounds to the bottom of the garment bag. Zip the garment bag shut so the aroma of fresh coffee grounds permeates the fur coat. Stir the coffee grounds once each day and check the smell of the fur coat. Remember to zip the garment bag shut to seal it in with the coffee grounds. Repeat this process until the garment smells like coffee. It should take anywhere from a few days to a week. Remove the coat from the garment bag when the fur smells like coffee and hang it outside in fresh, dry air for a few hours or until it smells fresh. Returning the coat to the closet or put it in storage. Repeat Steps 1 through 5 if necessary to remove all the odor, using fresh coffee grounds. Treat damp fur by shaking off the water and letting the fur dry naturally to prevent a mildew smell. Clean and condition a fur coat annually. Take it to a reputable furrier and have the fur cleaned and conditioned. The conditioning process replenishes the essential oils needed for the longevity of the fur coat. Store the fur coat properly during the wearing season to help prevent unpleasant odors from getting into the fur. Allow plenty of room in your closet to hang the coat. Fur requires proper air circulation, so do not crowd the garment when hanging it. Place the fur coat in a storage vault during the off season where it will be humidity-controlled and away from heat and moths. Never store fur in a plastic bag. Never use heat to dry fur. If the fur coat gets soaked, take it to a specialist master furrier right away.